by Jacob Sullivan There’s a very simple way to find out whether you would like Ron Howard’s new documentary encompassing the touring years of The Beatles. Do you like The Beatles? If the answer is yes, then the film’s music, concert footage and snippets of the band’s live performances will entertain. If not, then this film cannot offer much to you. As the lengthy title suggests, The Beatles: Eight Days a Week wisely doesn’t try to cram the entirety of The Beatles’ complex career into one film, but rather centers on the touring years. It documents the band’s beginnings as a club band playing in Liverpool attics, the rapid growth of their fanbase and the madness of touring, ending with their choice to stop the tour to focus on recording and writing music (specifically the creation of “Sgt. Pepper’s Lonely Hearts Club Band”). The movie shows the immensity of Beatlemania and how the struggles of the spotlight and constant work matured The Beatles. The story of Beatlemania is chronicled well. Ron Howard utilizes archival footage, photography, music, radio spots and interviews with both surviving Beatles as well as older interviews with the two deceased band members to chronicle the band’s life in the spotlight. For people too young to remember or not yet born, the documentary communicates the scale and insanity of the band’s fame and influence during this time in their career. The extent of the love for the band is shown thoroughly, too. Some of the most charming moments come from footage of fans (primarily young girls) screaming, crying, fainting, and hyperventilating over The Beatles. The greatest strength of the film, especially for fans, is the subject itself. The band members are the main draw of the film. Without much in the way of conflict, the charisma of George, Ringo, Paul and John as well as the characteristics of their art have to carry the whole picture. News interviews, press conferences, backstage footage, and home videos give real insight into the band’s personality. While not providing a ton of intimacy with the group, the film’s footage shows the band as they portrayed themselves in the media — as a fun, smart group of British lads. Live concert footage (remastered with modern technology) is another highlight. The improved audio and visuals is something unique to the film and it helps convey the sense of excitement that must have been present at those Beatles performances. The featured songs are taken mostly from their early work (covering material from “Please, Please Me” up to “Rubber Soul”). This concert footage is enjoyable, but it probably won’t do much for non-fans. This leads to the doc’s biggest issue, though. What can it offer that hasn’t already been offered before? If someone doesn’t care for the band, can this film do anything that will change that? 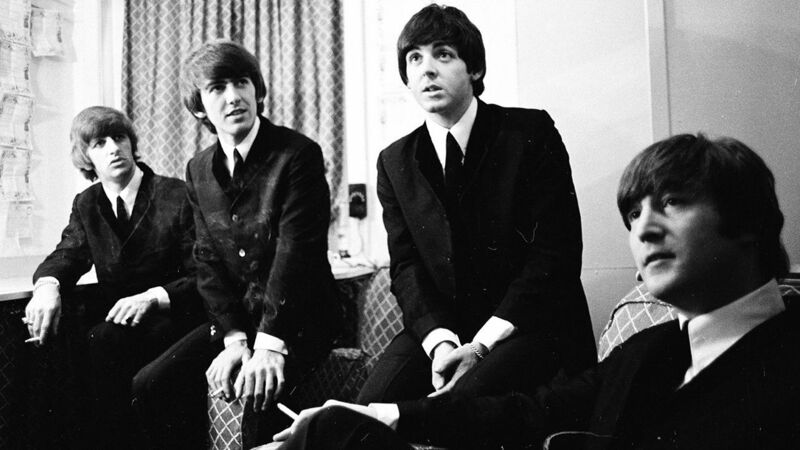 The Beatles, I can safely say, are one of the most documented, discussed, and recognizable bands in music history. As a modest fan of the group myself, the film failed to tell me anything new or make me view the group in a different way. Little pieces of trivia are the extent of the new info one may glean from this. While the film is technically sound, nothing about its storytelling, presentation, or editing is original or innovative. To begin with, the story is already familiar to most fans (even perhaps to some non-fans). No conflict is present and what little drama that could be evoked is soiled by Howard’s tendency to remind the audience of just how monumentally important this band is. The doc doesn’t shy away from praising the band to a ridiculous degree. Everyone has already seen The Beatles get praised beyond belief and if you’re not a fan, this insistent acclaim will likely further alienate you from the film. The documentary is good — not great, not new, but good. It’s technically sound, and fans will enjoy the music, concerts, trivia, and interviews. The film is consistently entertaining and has moments of greatness spread throughout its more than two-hour runtime (even though it could be argued that these moments have more to do with The Beatles than the filmmaking). If you like The Beatles and aren’t looking for much more than a simple documentation of Beatlemania, then you’ll probably enjoy Ron Howard’s solid enough tribute to the iconic group’s early years. Tags: Jacob Sullivan. Bookmark the permalink.